New collection! 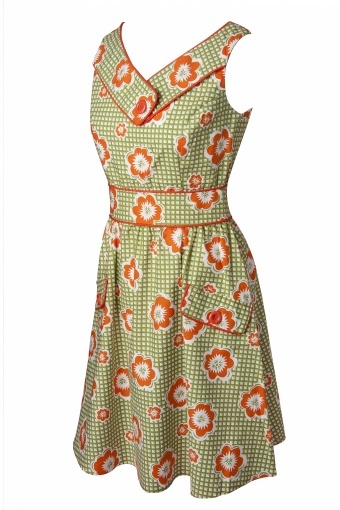 The 60s Ginger Flower A line dress from Retrolicious. 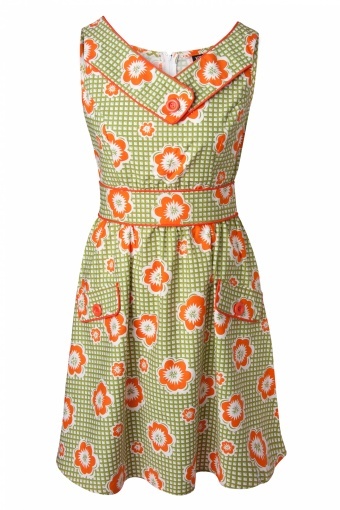 Who could resist this fun floral dress with vibrant orange button and piping detail? 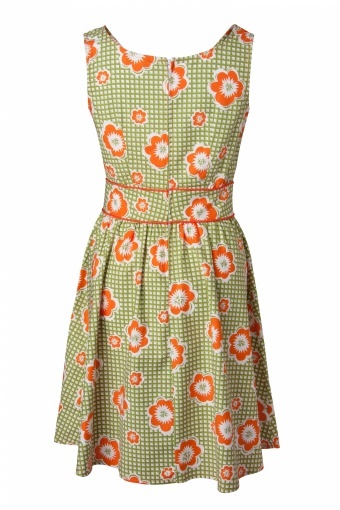 Fitted waist for a slimming look. 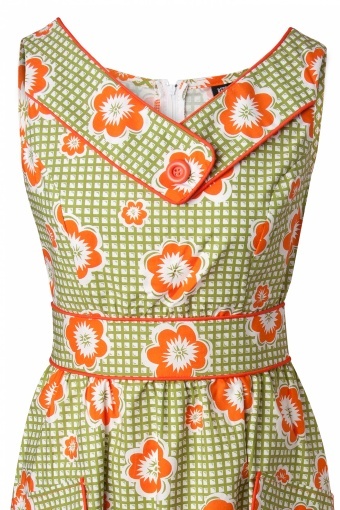 Faux pockets, zipper at the back. 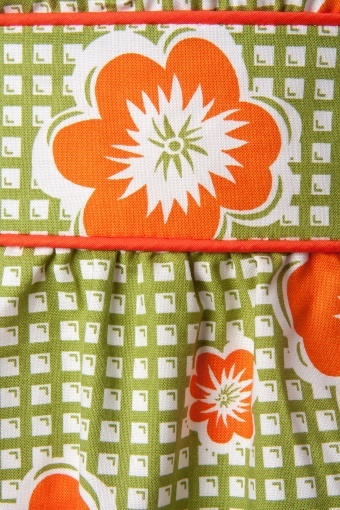 Made of 100% cotton in a beatiful sixties print. Also available in more prints!